not bearing any weight. 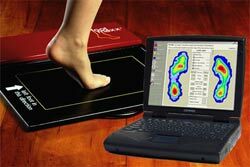 The Footmaxx™ Gait Analysis System revolutionized the diagnostic accuracy of foot problems and proper creation of custom orthotics, by pioneering the use of computer technology in the analysis of 3D dynamic, weight-bearing foot biomechanics. see on the computer monitor. 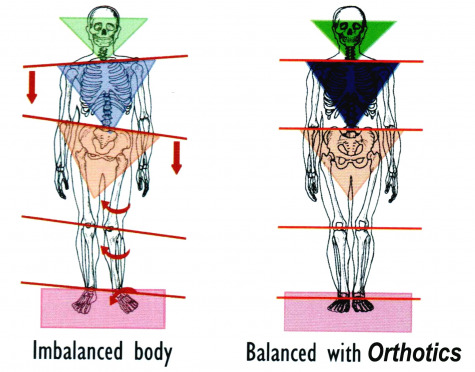 This technology has taken the art (guesswork and error) out of making orthotics and has replaced it with science-measurable details of the bio-mechanical function of the feet during normal walking. All Footmaxx scans are then uploaded and sent via the Internet to the Footmaxx™ lab podiatrists and technicians, where sophisticated, proprietary diagnostic software, Metascan™, specifies the prescription for your custom orthotics and can generate a comprehensive gait and pressure analysis report containing 2D and 3D color images of a patient's footstep; data on kinetic pressure patterns during the stance phase of gait, and a conclusion describing any biomechanical abnormality detected as compared to normal gait values. If an aberrant biomechanical pattern is detected, Metascan also specifies the prescription for custom foot orthotics. Also at the Footmaxx™ lab, a podiatrist reviews the scan information and writes a detailed report stating the problems with the function of the feet and whether or not orthotics will correct this problem. With this information, the podiatrist can oversee the creation of orthotic appliances, which will make your feet function within normal parameters. The Footmaxx™ System helps Dr. Pisarek analyze your gait and prescribe the proper orthotics to help your feet function better. 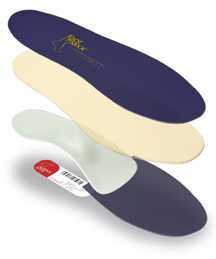 Footmaxx™ orthotics are thin, comfortable and light weight. They fit easily and discreetly into your existing footwear. You can wear your most stylish shoes, and still get the proper support and correction from Footmaxx™ Orthotics. Footmaxx™ orthotics provides superior control and correction for foot and gait abnormalities. Custom made especially for you, Footmaxx™ orthotics will correct and improve the way your feet strike the ground, enhancing your natural movement and helping your feet move more efficiently.